CDR Salamander: ... but did you get any readiness points out of it? ... but did you get any readiness points out of it? 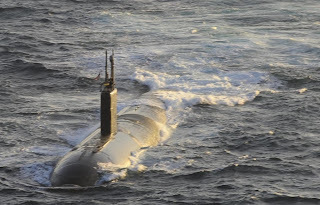 According to a Navy statement the submarine USS Montpelier (SSN 765) and the Aegis cruiser USS San Jacinto (CG 56) collided at approximately 3:30 p.m. ET. 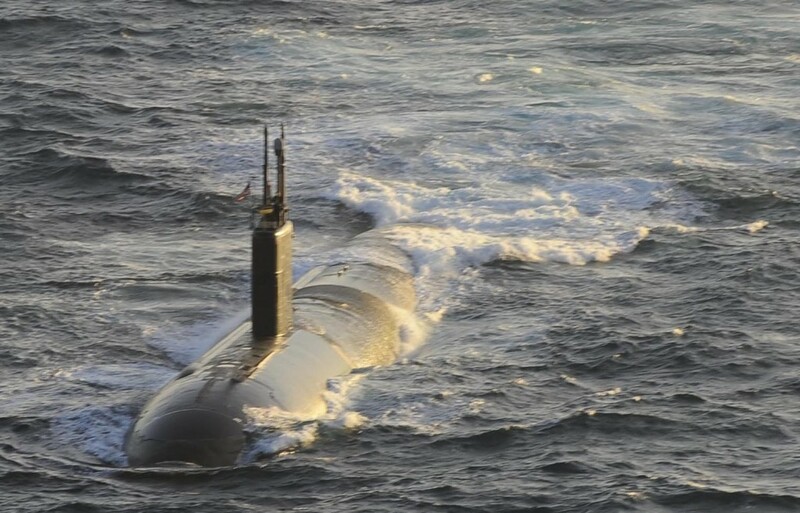 The statement adds that there were no injuries aboard either ship and that the submarine’s nuclear powered reactor “was unaffected by this collision.” The incident is under investigation. A Navy official says the two ships were participating in a “group sail” along with another vessel. The three ships were participating in an anti-submarine exercise in preparation for an upcoming deployment as part of the strike group for the aircraft carrier USS Harry S Truman. The Navy official says that at approximately 3:30 p.m. the bridge watch aboard the San Jacinto saw the submarine Montpelier rise to periscope depth about 100 to 200 yards ahead of them. The bridge ordered an “all back,” but still collided with the sub. Big ocean? Notsomuch. More pics here. Training, training, training. Doesn't seem to be working at the current pace. I wonder when the World's Greatest Navy will admit a change is due? Maybe have outside entities groom the business practices instead of retired good ole boys who simply condescend to their actively serving replacement. World's Greatest Navy sure does some things indicative of insanity. All for the paycheck? An at-sea collision and both ships made it back to port. If you examine the damage control training efforts, one could argue that both ships did very well. Stupid stuff is going to happen out thereas long as Sailors are manning our ships. It always has and it ALWAYS will.